The Agriculture Committee heard testimony Feb. 14 on a bill meant to protect Nebraska apiaries from encroachment by out-of-state beekeeping operations. Registered beekeepers could report a violation of the quarantine to the department, which would investigate. If the out-of-state hive is too close, the department would issue a notice to remove or relocate it within three days. Brewer said the bill is similar to legislation in surrounding states meant to prevent out-of-state beekeeping operations from consuming the forage that bees from local operations feed on. Edward McDonald, a commercial honey producer from western Nebraska, testified in support of the bill. He said Nebraska honey producers need protected areas to prevent out-of-state operations from driving them out of business. In recent years, he said, California farmers have increased the acreage devoted to growing almonds. That means more demand for bees to pollinate those crops and less forage available to feed the bees. As a result, California beekeeping operations leave the state during the summer to find forage, often traveling to states like Nebraska. The out-of-state bees decimate the forage that local operations need to produce honey. “We are being destroyed by out-of-state beekeepers putting their bees on our locations,” he said. 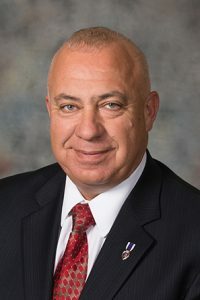 Brian Nilson, vice president of the Nebraska Beekeepers Association, also testified in support of the bill but said he spotted several gaps in it. LB499 should include an exception in the three-mile encroachment radius for landowners who wish to keep their own bees, he said. That rule also would need to accommodate urban beekeepers — there are more than 40 within the Lincoln city limits, Nilson said. Those matters aside, he said, encroachment makes it difficult for Nebraska honey producers to stay in business. “Our beekeepers definitely need protection from encroachment,” Nilson said.